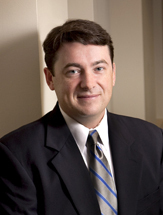 Ronan Doherty represents both plaintiffs and defendants in all aspects of civil litigation and alternative dispute resolution, in the state of Georgia and nationwide. He has more than fifteen years’ worth of experience successfully representing clients in complex, high-stakes cases. His areas of concentration include business torts, including antitrust, RICO, fraud, breach of fiduciary duty and tortious interference with business relations. Ronan also has litigated a number of intellectual property cases, including trademark, copyright and trade secret disputes. And Ronan has significant experience in the areas of class actions, commercial contract litigation and appellate practice. In addition to representing several Fortune 100 companies, Ronan has represented medium and small corporate clients in bet-the-company cases. And Ronan has done a significant amount of pro bono work, accepting appointments from both the United States Court of Appeals for the Eleventh Circuit and the United States District Court for the Northern District of Georgia. In 2014, Ronan joined the board of the Southern Center for Human Rights. Ronan served as the Chair of the Georgia Bar’s Appellate Practice Section. For several years, Ronan organized and chaired the Georgia Appellate Practice Seminar, an annual seminar that brings practitioners together with many of the Justices of the Georgia Supreme Court and Judges of the Georgia Court of Appeals. Representing a major retailer as a plaintiff in antitrust litigation against Visa and Mastercard, as part of the In re Payment Card Interchange Fee & Merchant Discount Litigation. Ronan is working with a team of lawyers in Atlanta and New York to pursue claims that the major credit card brands have violated the antitrust laws and overcharged retailers hundreds of millions of dollars in interchange fees. Successfully represented an institutional investor in fraud and RICO cases against Bank of America, Countrywide, JP Morgan and UBS. These high-stakes cases involved the alleged fraudulent sale of more than $6 billion in mortgage-backed securities, millions of pages of documents, unusually well-funded and determined adversaries, and complex issues of successor liability. Ronan led a team of Bondurant lawyers, filing suit in Fulton County State Court, defeating motions to remove and to dismiss the complaint, conducting discovery and negotiating a series of confidential settlements in the client’s favor. Successfully represented a major retailer as a plaintiff in the In re Polyurethane Foam Antitrust Litigation, negotiating a series of confidential settlements to recover significant damages from major carpet pad manufacturers accused of conspiring to raise prices. Successfully represented a major retailer as a claimant in the In re Deepwater Horizon claims process, by helping the client to recover millions of dollars in contested awards and additional settlements. Advised corporate clients regarding their option to participate in, object to, or opt out of a series of settlements regarding the alleged price fixing of financial benchmarks, including LIBOR, Foreign Currency Exchange, ISDAfix, Interest Rate Swaps, SSA Bonds, and Treasury Notes. Certified as Class Counsel for a class of employees who used the federal and Georgia RICO statutes to sue their employer for hiring illegal workers. The case made numerous appearances in the U.S. Court of Appeals for the Eleventh Circuit and was argued in the U.S. Supreme Court. In 2009, Ronan successfully argued the case in the Eleventh Circuit, convincing the Court of Appeals to reverse the denial of class certification. After that decision, Ronan and a team of Bondurant lawyers helped negotiate a settlement of $18 million for the class. Represented a major home builder in a bet-the-company case to pursue a declaratory judgment that the home builder had not defaulted on hundreds of millions of dollars in bonds. Successfully forestalled claims for default on the terms of the bonds or under the Trust Indenture Act. Successfully represented a major home builder and mortgage lender, in court and in arbitration, on claims for breach of contract, tortious interference with contract and unfair competition against Bank of America Co. and one of its subsidiaries. For nearly 15 years, Ronan has represented a Fortune 50 home improvement retailer in dozens of cases on claims ranging from $50,000 to $150 million in federal and state courts in Georgia, California, Texas, and Illinois. Successfully defended a $500 million RICO case filed against twenty corporate and individual defendants located all over the world. After the complaint was filed in the U.S. District Court for the Northern District of Georgia, Ronan led a team of Bondurant lawyers who convinced the district court to abstain and stay the case due to related litigation in foreign courts. Once the court allowed a narrower range of claims to proceed, Ronan led the team that successfully moved the court to dismiss all the plaintiff’s claims and successfully defended that dismissal in the U.S. Court of Appeals for the Eleventh Circuit. Successfully defended a private corporation and its outside counsel in a series of malicious prosecution cases alleging RICO claims, conspiracy, and violations of the plaintiff’s constitutional rights. Ronan led a team of Bondurant lawyers who procured the dismissal of two cases filed in federal court as well as a third case filed in the Fulton County State Court and successfully defended those dismissals in the U.S. Court of Appeals for the Eleventh Circuit and the Georgia Court of Appeals. Successfully defended a major international hotel company against a hotel owner’s claims for breach of a lease agreement. After the owner filed a claim for more than $35 million in damages and sought to have the hotel operator evicted, Ronan helped obtain summary judgment on all the owner’s claims and obtained a ruling that the hotel owner had wrongfully terminated the lease and owed damages to our client. After the Georgia Court of Appeals affirmed that ruling and the Georgia Supreme Court declined to review the case, the parties entered into a confidential settlement agreement in our client’s favor. Successfully defended a regional fuel jobber against claims for breach of contract, conversion, tortious interference with contract, and defamation. Ronan led a team of Bondurant lawyers who used the federal antitrust laws to challenge the enforceability of a non-compete agreement, and asserted counterclaims based on the plaintiff’s alleged pattern of knowingly overbilling its customers. After Ronan helped the clients prevail in a series of discovery disputes before the court and a special master, the plaintiff elected to drop some of its claims and then negotiated a confidential settlement of all claims. Successfully defended the Hospital Authority of Albany-Dougherty County in defeating antitrust claims brought by the Federal Trade Commission (FTC) and the Georgia State Attorney General’s office. The FTC sought to enjoin the $195 million acquisition of Palmyra Medical Center by the Hospital Authority of Albany-Dougherty County. A district court judge ruled that the Hospital Authority and other defendants were immune from antitrust claims, dismissed the FTC’s complaint with prejudice, and denied the FTC’s request for an injunction to prevent closing of the $195 million all-cash deal to acquire the 248-bed Palmyra hospital. The 11th Circuit Court affirmed the ruling and allowed the acquisition to move forward. Bondurant lawyers represented the Hospital Authority in Federal Court, the 11th Circuit Court, during the FTC’s administrative process and ultimately helped negotiate a satisfactory resolution to the dispute. Co-counsel defending an international hotel company in a series of cases filed alleging breaches of fiduciary duty and violations of an operating agreement. The plaintiff attempted to obtain a temporary restraining order as well as a preliminary injunction that would have forced our client to surrender the hotel to a new operator. When those efforts were rejected in federal court, the hotel owner dismissed the claim and re-filed in Gwinnett County Superior Court, where the claim was defeated as well. Successfully defended a plastics manufacturing company and its owners against claims of trade secret misappropriation and breach of confidentiality agreements after a failed merger. The case was the first one to consider and apply the statute of limitations in a Georgia trade secret case. Acted as Liaison Counsel for an internet advertising company in a multi-district litigation alleging that the company’s pop-up advertisements violated the copyrights and trademarks of numerous web site owners. Ronan helped lead a team that successfully defended and ultimately resolved multiple cases filed by Fortune 100 plaintiffs and prosecuted by several major national law firms. Successfully represented a man wrongfully detained at the U.S. Naval Station at Guantanamo Bay, Cuba, by filing a complaint and petition for habeas corpus in the U.S. District Court for the District of Columbia. After more than five years of detention, the Department of Defense approved his release in February 2007, when he was able to return to his wife and two young children. Volunteered to help prosecute and help try a man charged with a scheme to defraud his 80 year-old godfather out of his home. After a several day trial, the jury convicted the defendant on several counts of theft-by-deception and elder abuse. In a pro bono appointment from the U.S. Court of Appeals for the Eleventh Circuit, obtained reversal of an order denying an employee relief on a Title VII retaliation claim against the Federal Railroad Administration. The plaintiff ultimately obtained reinstatement and an award of nearly $1 million in back pay. Spent two years as an associate in Sullivan & Cromwell’s Washington, D.C. office, where he represented clients such as British Airways, plc and Microsoft Corporation on antitrust matters.